Have you been collecting glass for awhile and are you ready to create a masterpiece? Then be inspired by the tutorial that Elizabeth from ElizabethLovesGlass has on her Two Glassy Ladies blog! I recently started to collect glass and I’m going to bookmark this tutorial when I’m ready to create my masterpiece! Thank you Christmas In July team member Elizabeth for sharing! Enjoy the Glass-On-Glass Mosaics – The Basics tutorial and thank you Elizabeth for the inspiration! Here are some beautiful Wedding Items from the Christmas In July team. This purse was given to my mother in the 1960s as an evening bag and she hardly used it. It was a gift from her brother who had visited Japan. I remember being a child in awe of it’s exotic beauty. With it’s delicate pearl-like beads it is a perfect wedding accessory. I have looked after it for many years, but it’s time for it to find a new home. I started making wedding guest books for friends, matching the covers to the wedding colours. After a while of doing this, I asked myself ‘why not make these available on Etsy?’ I decided to list neutral and popular colours of journals on Etsy, with the option to request a custom book to match specific wedding colours. This way, memories of the special day which can be cherished for years to come! An interesting fact about the florentine book, which I should probably mention, is that it was featured (as was I) in a recently published book, “The Little Book of Book Making” by Charlotte Rivers. Pure and simple! I love vintage so I designed this 1920’s wedding dress . I can see it being worn in a vintage mansion, a garden wedding or even a beach wedding . The hat was made from a vintage straw hat , I used the cap for the base of the hat then added some ribbon and beads . It was a lot of fun to make. 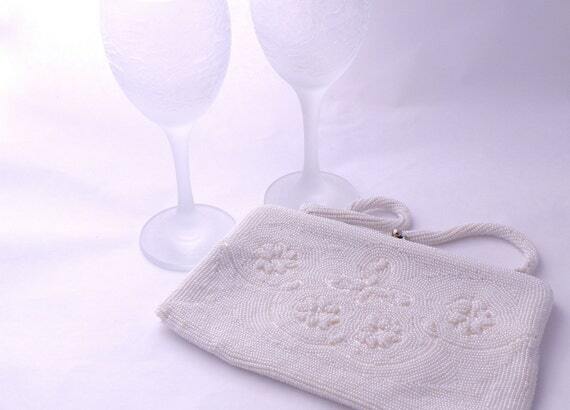 A special original and nice wedding favor! 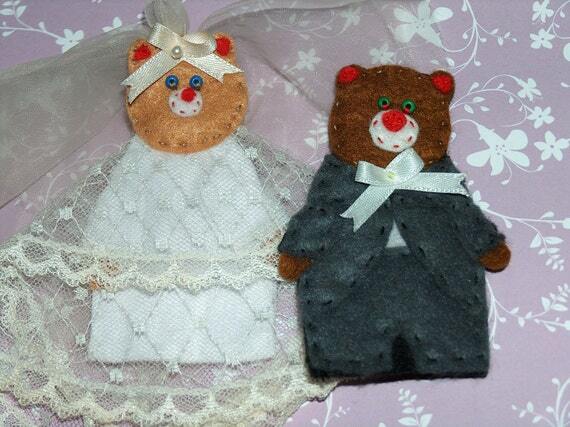 Bride and groom bear finger puppets! I love them, I made it for the wedding of a friend of mine and they were very lovely! 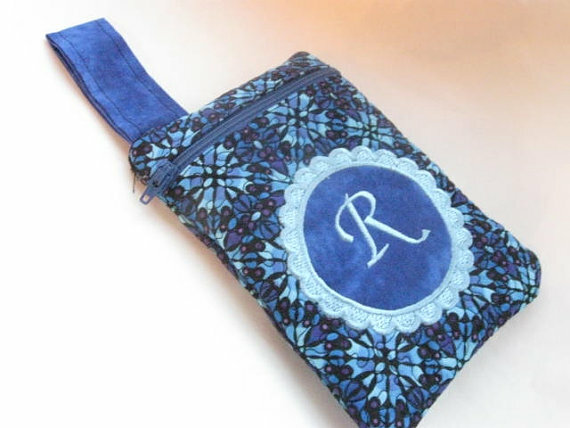 They are very original and every detail is hand cut and stitched with passion and care!